Hi everyone! Today is the big day! I’m 30 as of 12:12pm it better be one dang good lunch today is all I’m sayin! But I also want to give a really big HAPPY BIRTHDAY to my birthday buddy Diana! Love ya girl!!! Welcome back to Copic Week! Every post this week has a Copic theme. For today’s How To I have a Copic Swatch Book I made that you can take with you, add to and is complete with tabs to help you organize. Sound like fun? Let’s get started! To make this little book you’ll need a stamp that fits what you’ll be swatching (I used Sweet Thinkin Mae so I could do skin and hair and clothes combos), copic safe stamp ink, your normal coloring paper, hole punch, jump ring, paper cutter, some pattern papers and adhesive and your Dymo Label Maker (optional) and corner rounder (optional). 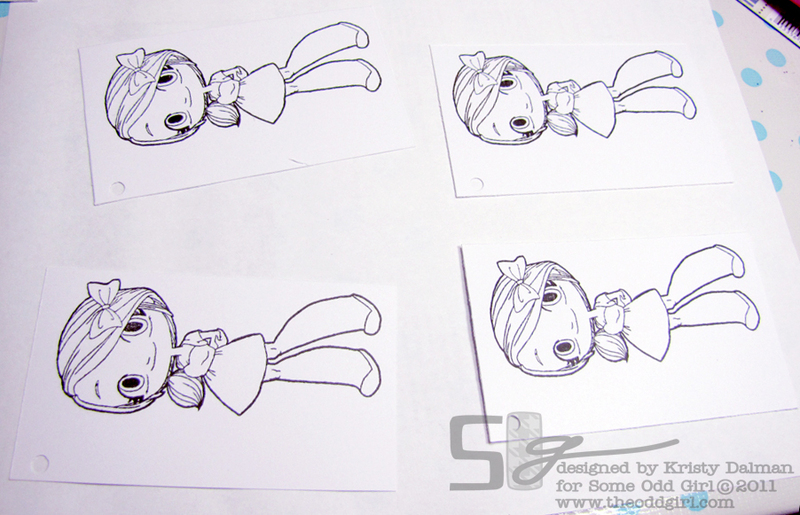 First thing is to take your coloring paper, I’m using Copic X-Press It, and cut sheets for your book of 2.5″ x 4.25′. This size will get you 8 pages per sheet. I cut up 4 sheets to start with. Next punch a hole in the upper left corner that fits your Ring. I used the large punch size on my big bite along with the guide to keep the holes in about the same spot. Next comes stamp assembly line. 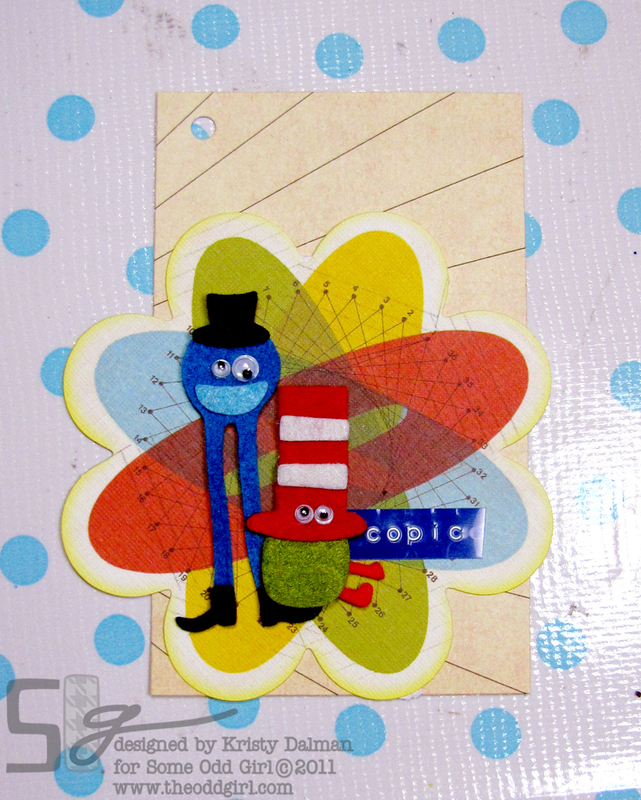 Make sure to put your stamp toward one side or the other so you have room for notes and color spots. While those are drying decorate your cover. 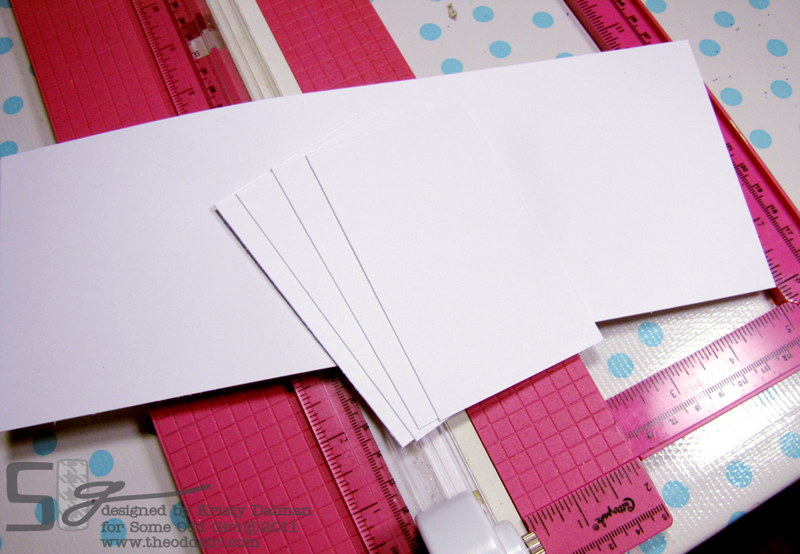 For the tabs on your dividers cut 5 squares 1″ x 1.5″ and fold them in half. If you want to round the corners. The next part is a matter of preference but decide what sections you’d like and create labels for your tabs. I used my Dymo and made blonde, brown and black for hair colors. The last two I’m undecided on lol. Then you will eyeball your tabs on the 5 dividers and adhere them so you can see them from the side. The easiest way to eyeball them is to place one at the top, one at the bottom then one in the middle first. Then finding the spots for the last two will be much easier. 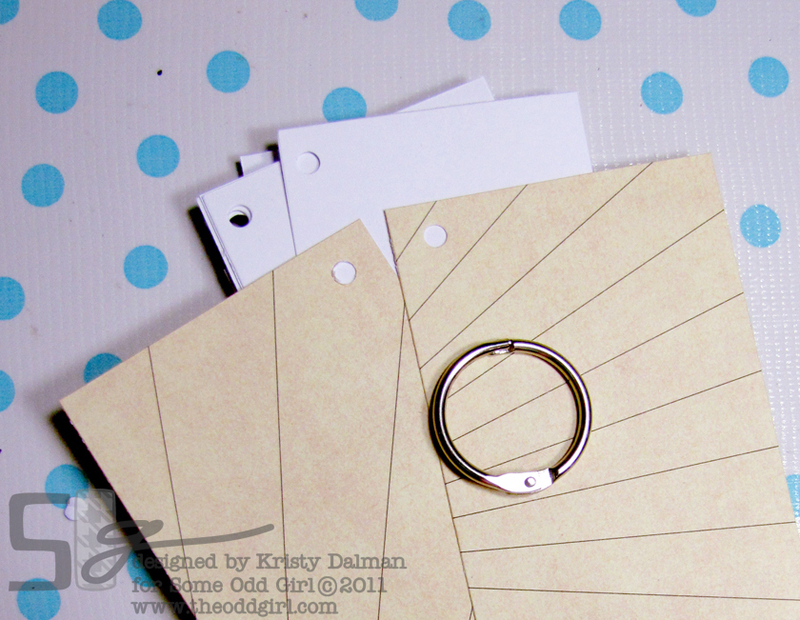 Lastly start putting your pages, covers and dividers onto your ring. 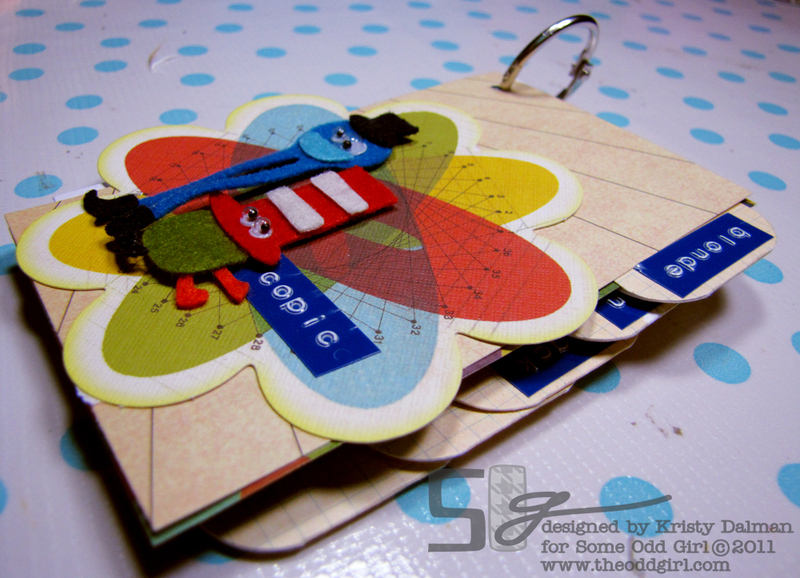 I started with my back cover then divided my stamped pages between the dividers threading the groups on together. The great part about the ring is that its really easy to rearrange and add pages! This book is really handy to keep with your copics and jot down those combos you discover and love in a small size. To go along with this little (or not so little lol) how to I have a little giveaway for you! Sponsored by the folks at Copic Markers! I would like to learn more about getting the details of a complexion. ie. the bridge of a nose , freckles, etc. Second, the thing I have the hardest time with is clothing pleats, or shading in clothing that is not necessarily on the stamp itself. I need to learn it all, I dont have any of these markers yet, and I’m dying to try them out. Have a great Birthday!! I am currently working on a “tutorial book” for my fav color mixes too so your blog today was helpful. I am also going to have a section in my book for what I call “Funky” mixtures (outside the family colors). That’s a great idea for a section Shari! So frustrating if you can’t remember something that turned out really well later! Happy Birthday!!! I hope it’s one terrific day for you. I’m a Copic newbie, so I need to learn everything. Your blog is fantastic. Thanks for the chance to win some markers. I try and try but the one thing I have trouble with is shading and blending so that’s what I’d like to learn more about. Thanks! Happy Birthday!! Hope you have a wonderful day. 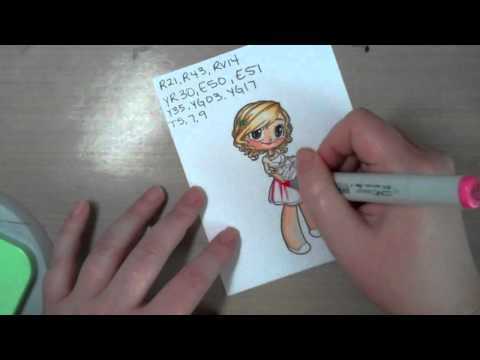 I love Copic’s and this is a great idea and super cute. I would like to learn more about hair colors. I tend to stick with one color and thats always brown. I’d like to learn more about creating folds and movement to clothing. Wow what a great idea. I feel dumb for not thinking of it lol. hi! just found your blog and will now be checking in more frequently…great ideas and beautiful work! Aww! Thanks tons Patti! That means tons! Happy 30th!!! I promise it doesn’t all go downhill from here 😉 I think my biggest thing right now is learning to do black shading. I’m having a terrible time getting it to look “right”!! Happy Happy Birthday!! I love my copics too! I would love to learn what to do if you don’t have a color that you need. I am sure there is something that i can do… HELP! Like if you are trying to blend between a really light and really dark color but don’t have the “between” colors? That could be a fun video to make! Happy Birthday!! 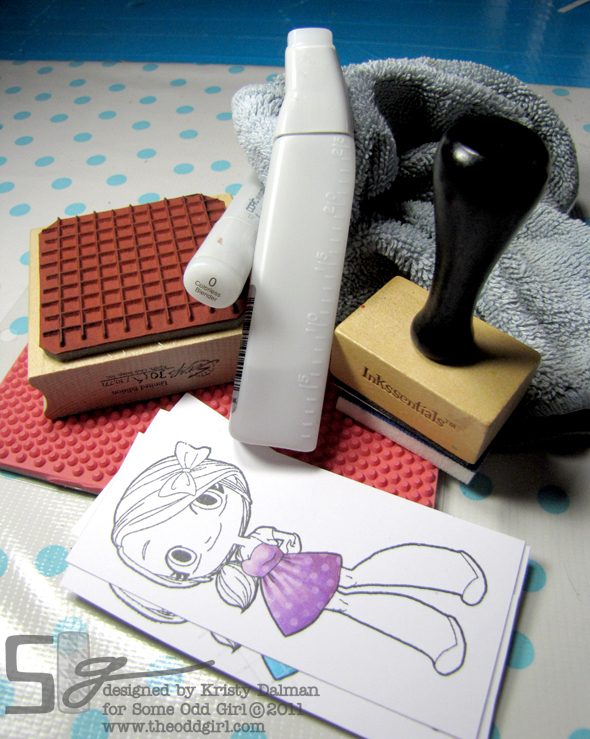 I would love to learn more about the airbrushing… Love your swatch book…Thanks for the chance to win some copic markers!! I really like that idea. Because I’m still new at it … using consistent images – helps make choices for the next project that much quicker. Happy Happy Birthday have the best day ever. 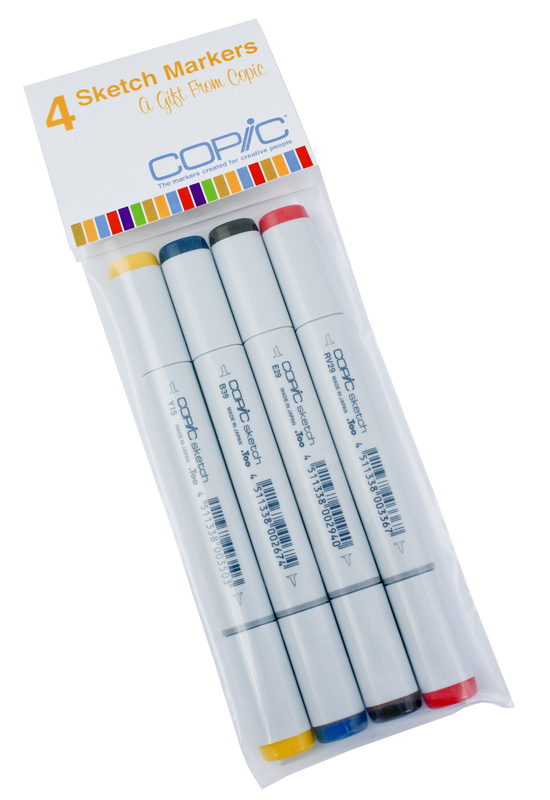 I have never used copic Markers but I have seen the Videos on the site and I would love to start using Copic. I have some marker but in the video for them I know they are better then the ones I have. I would love to know how to blend with the markers. 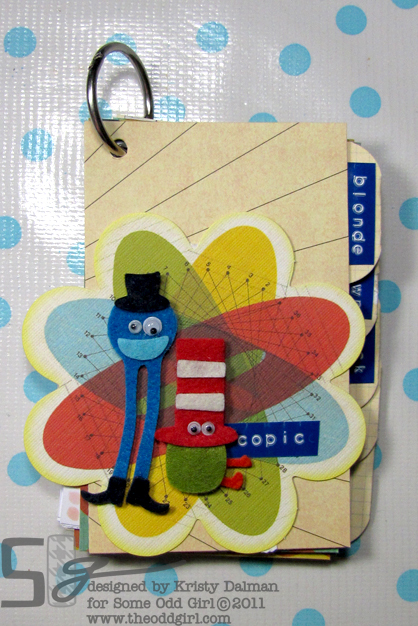 I love the Swatch books you have made. great colors. Thanks for sharing and for the chance to win this very cool Giveaway. Happy Birthday girl! I would love to learn how to blend hair better. Happy, happy birthday to you! Hope it’s an awesome one! Happy happy Birthday to you. Hope you have a fantastic day. Thanks for sharing this great idea. Happy Happy Happy Birthday!! Hope your day is simply AWESOME! What a fabulous tutorial today. 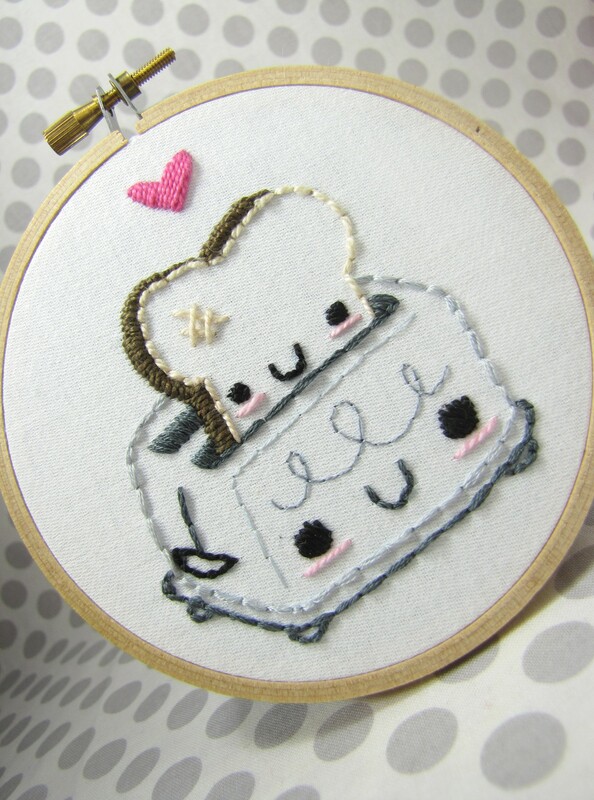 I’m going to make one for myself! I’d like to learn to blend better than I do. I need more practice I guess. What I would love to learn how to do is to create texture and dimensions with copic markers on lets clothing, hair, blouses, etc. Thanks Have a great birthday! Oh this is easy…..I love pleats and I struggle terribly with doing them!! I am always looking for good tutorials but they are all so rather complicated!! I still would love to learn though. First, this is a GORGEOUS book! Can I win that?! 😉 Second, I REALLY need to learn better hair techniques for Copics. Mine is the old school coloring where you blend them all together. I really like the hair that you can see the strands on! I don’t have any copics, so everything is a good tutorial for me! Would love to win some, thank-you for the chance and Happy Birthday!!! Just saw your swatch book from pinterest. Love the idea. Just looking around you have a lot of good tips which I can use. I just started using copics and have much learning to do. Happy birthday!! I’m just getting started with Copics, so I could use more tips on anything. In particular, I was wondering if you had any strategies/suggestions to help me learn not to be so heavy-handed when I’m coloring. I tend to do this no matter what I’m working with (e.g. I press hard when I write, when I use other markers/pencils/crayons, etc.). I guess it seems to just be my “style” but I don’t want to go through my ink so quickly. Any tips? 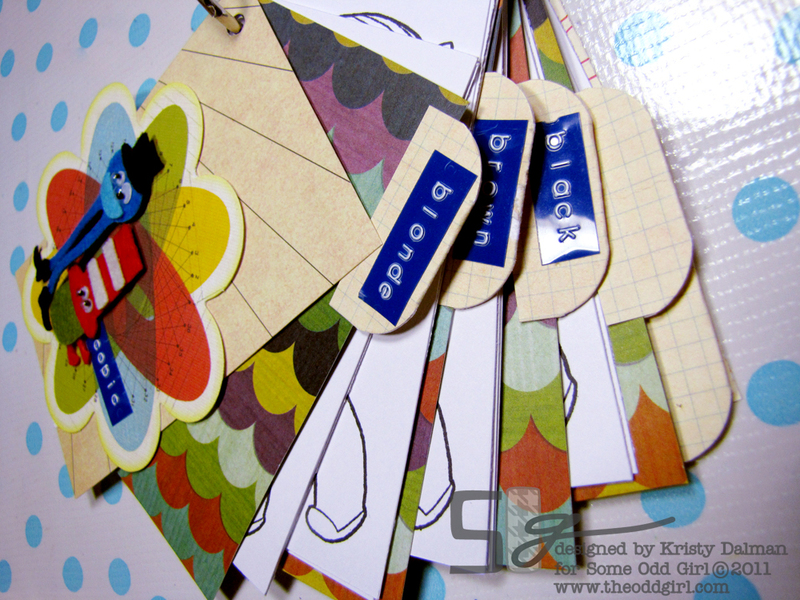 What a fantastic idea on how to create a swatch book! I’d really enjoy tips on how to smoothly layer colors with my Copics. Wow! I love this book idea. Would you believe I really wanted to know about making textures and loved the tutorial yesterday. I think the next thing I’d like to know about are color combinations for red hair. I would like to see more on pleats and hair. Thanks for the opportunity to win some sketch markers! Hope you enjoyed YOUR day! We’ve got both coming yet this week (pleats and hair) Lois so yay! Happy birthday!! I’d like to learn more on hair and skin coloring. Mine never looks as cute as yours when all colored. Wow WHAT a fun idea!! love it and can’t wait to make one for myself!!! and I’m always dieing to know color combos!!! What works good for hair, skin, clothes – especially those that don’t involve trios! happy happy REAL birthday!! 30 is the new 20 you know!! Happy Birthday hope you have a awesome lunch!!! Happy Birthday! I hope you are having a wonderful day! I would love to learn more about hair and skin techniques. Hope you are having a wonderful birthday..you are really celebrating girl..That is a awesome prize!! Hope you had a great day and that all your wishes came true! I would love to learn more about shadowing and highlighting on faces! I’m loving the tutorials this week! So many great ideas. What I would probably want to know more about is 1) the actual coloring technique – brush strokes, circles, etc. Everyone seems to recommend a different method of coloring. 2) how to blend/match colors that aren’t in the same color family – or – aren’t right next to each other in color chart numbers. First of all…a big HAPPY BIRTHDAY!!!! I hope you have a wonderful day! And when it comes to copics I want to see everything!!! 😀 But most of all, colourcombos! Can i just say, I’ve enjoyed each post soooo much so far… you’re really spoiling us with information and I love it. I would love to learn how to actually leave the white part of the paper uncolored for the highlight area so it’s the brightest. kwim? I have a hard time with that, so any tips would be fab!! Happy Happy Birthday to you!!! May all your Birthday wishes come true! Ummm.. I need to learn more on using my copic ABS. Your project is cute you showed here. I really love that swatchbook! I usually just stick to a few trusty colour combo’s, because I don’t want to ruin the image by trying something new. This is a great way to experiment with some colours and see which ones work and which ones don’t! Happy Birthday Kristy! Sure, I missed the big day. 🙁 Hope you had a great day! I love your book idea! I’ve done a few colorings that I made notes on that I keep in a manila folder. Now I know a better way to keep my notes! 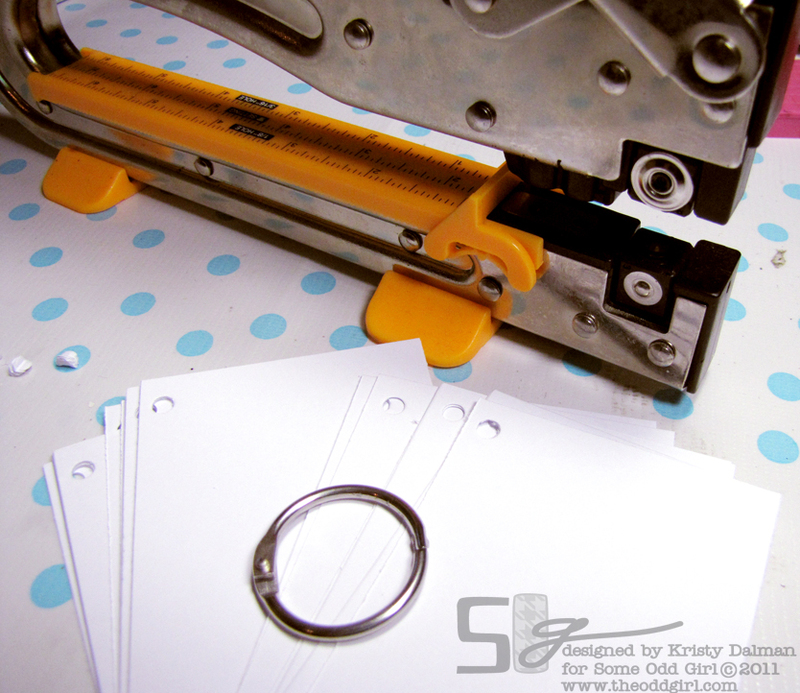 I even have some of the jump rings, because I use them to keep my daughter’s bday cards together so she can look and enjoy them, but they’re not all over my floor! The thing I really need to learn about is coloring eyes. I have hazel, and have no idea how to color that, but even blue and brown I need hints with. I’ve watched your hair coloring tuts and they helped bunches! I had to order some extra colors (oh darn 🙂 ) so I can get the same results. What a great tutorial! I’m really going to have to try this out. :3 So cute! 1. to blend the colors so it is no border between them. 3. backgrounds colored with copics. I always have such a problem painting background scenes with markers. I love the way you colour the faces and give depth to the nose. I would absolutely love to learn how to do that… create the nose area. Happy Birthday!! !…I celebrated my b-day on the 10th! !…I had a wonderful and hope your day is/was as good as mine!! I would love to learn more about shading with Copics…what colors are best with what colors…etc! !…It can be a bit overwhelming at times…but then I just remind myself that I am crafting and it is suppose to be fun…not stressful!! Happy Birthday too Kelly! 😀 I’m glad your was fabby! You mean like color combos or what colors blend together well? Both…LOL!…I know you’re suppose to use colors that are close together…to blend easily…but I have also noticed that people use colors that aren’t close together…how do you know what blends well…or just as long as they are in the same color family…make sense???…LOL!! Happy birthday Kristy! Would like to know more about care for our copics to make them last especially the nibs cos Copcs are costly! Happy Birthday Kristy. Hope you have a blessed day and a blessed month. You are blesssing all of us all the time with your talent. I think I would like to know how to blend skin color better. It seems like I can always see streaks in the skin. I use anyhere from E0000 to E13 usually but I wind up with streak a lot of the times even if I do circles. Happy Birthday Kristy!!!! Hope you’re having a cool day! You are just amazing! Happy Birthday… i hope you had/have a great day. Hi! Hope you had a great birthday! Fabulous tutorial! I’d love to learn about shading of black clothing and hair. Happy Birthday!!! Hope your day is awesome. I love the copic book with the combos of colors that work to make your cards awesome. I would love to learn to do noses, and eyes ..ok FACES.. I seem to do ok with cheeks but the rest of the face throws me. I find copics very challenging. I would like help with creating highlights for hair. Love the swatch book since I’ve been trying to put a listing together for me of the same stuff that works. Don’t like spending lots of time coloring and realizing you don’t like it. Love working with copics though!!!! I would like to learn how to color hair, sometimes look like mix colors, shades!! I would love to learn more about shading and creating backgrounds with Copics. I also need to learn how to use my Copic ABS (maybe also for backgrounds). 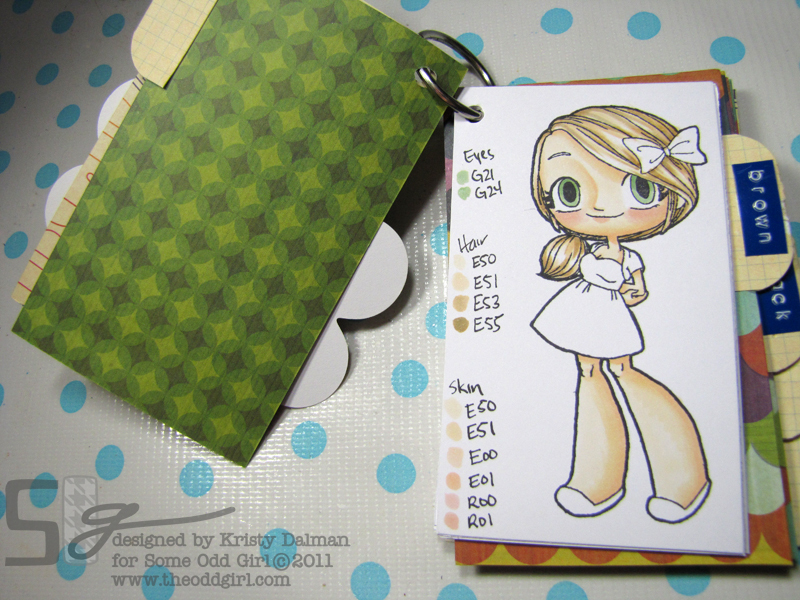 Your Copic Swatch Book is amazing and I should make one for me. Hi Kristy, a belated Happy Birthday to you! I love my copic sketchers! I still struggle with blending without it looking blotchy. And I would love to know how to substitute a family of colors if I don’t have a certain shade. Love your tutorials, thanks for sharing. I need more help in a few areas, noses, shadowing around them to create depth, red hair, backgrounds, and how to blend colors that are no where near matching or in the same family or like the new fluorescent colors. Thanks much for all this information and inspiration!! 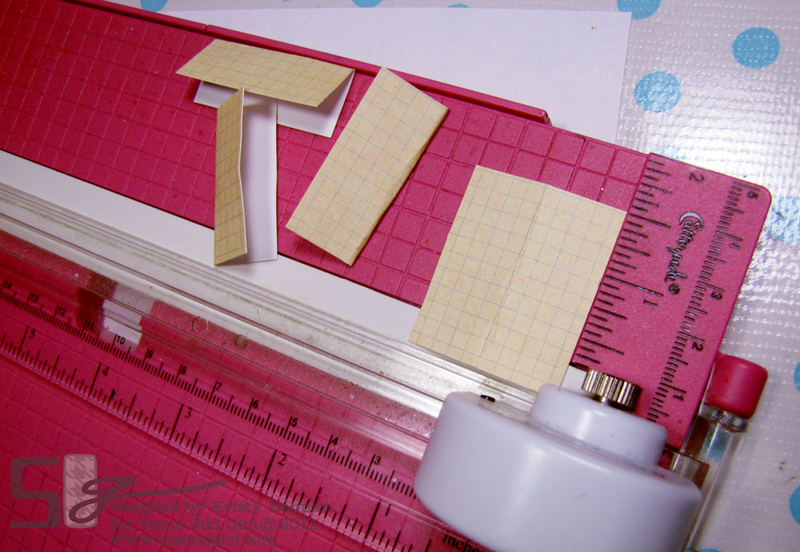 Thanks so much for sharing this we tutorial… what a great idea! I love my copics. I’m still learning, but I would love to know how to shade in the faces like you do so beautifully. Your noses and eyes always looks so fabulous! Hope you had a fab birthday Kristy. I would love to see some color combos/tutorials for dark brown/black hair. Thanks! I’d like to learn how to color fur. All my bear images are really flat looking! these tutotials are fabulous – I have so much to learn. I’d like to know more about how people put simple highlights around the outside of the entire image. love love love your tutuorials! Happy, happy birthday to you! My question is very simple. I’m just beginning to use Copics and want to know what your recommendations are as to a basic, “must-have” set. What colors (and combos) do you consider as must haves? Thanks for all of the great tutorials. I want to learn more about shadows! Thanks for all the excitement on your blog……it’s great to see so much happening. Happy Birthday. I need to know what the best colors would be for a beginner to learn basic shading, etc. I have one set and do not have any of the colors to use with it for shading. It is the one that has the red, yellow, orange, purple, green, black & brown etc. Great set for plain coloring but no shading. I’d like to learn more about blending. I would really loved to learn how to leave the “white space” using my Copics. Really, I am just getting started but my white space in hair or on clothing never looks right and I end up not having any. How is this done? Awesome month of goodies/tutorials!!! Thanks! Aussie hugs for your birthday! I’m loving all your celebrations. – LEAVING WHITE SPACE!! Like most Newbies I get too close to the area I planned to leave white/worry about uneven edges and eventually colour it in! Hope your birthday was a blast! And I hope you have your best year yet! I would like to learn how people achieve the dark coloring look – what combos they use – do they use gray over their colors or complementary colors? Kristy, I loved this idea. Here is the link to my Copic booklet. It works great and is certainly a work in progress, which is fun. What a brilliant idea. I need to make one of these. I’d like to know more about blending. Still building up my Copic collection, but I LOVE them! I would like to learn more about shading with copics & different color combinations! Thanks for the cool idea! Happy Birthday fellow Libra!!!! Wait, are you a Libra? Im so bad at the signs that I dont know when the Libras begin. Lol. Ps. Thanks for the swatch book idea! I just loved your work, it´s so, so amazing. Thanks for some ideas of you share with us. A variety of flowers and how to shade them to give them dimentions.